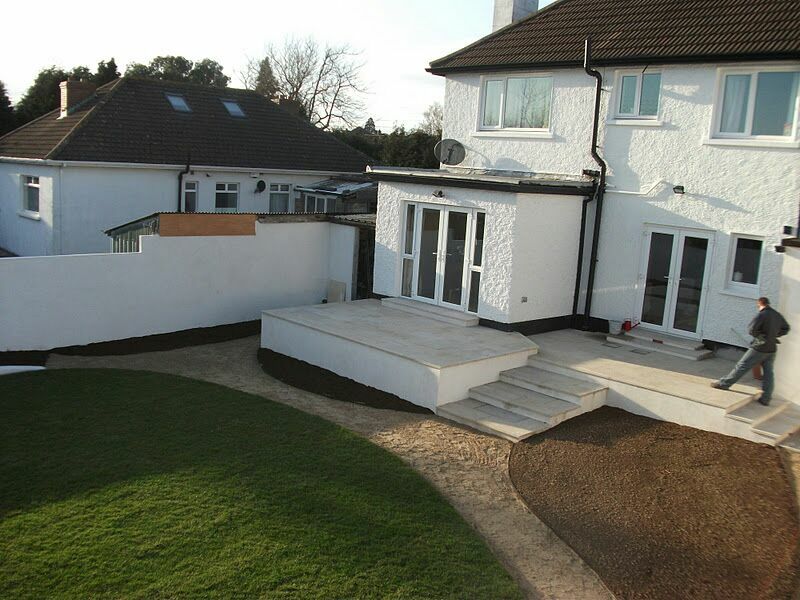 Owners had recently moved into their new home and after renovating their interior they now wanted to transform their exterior. 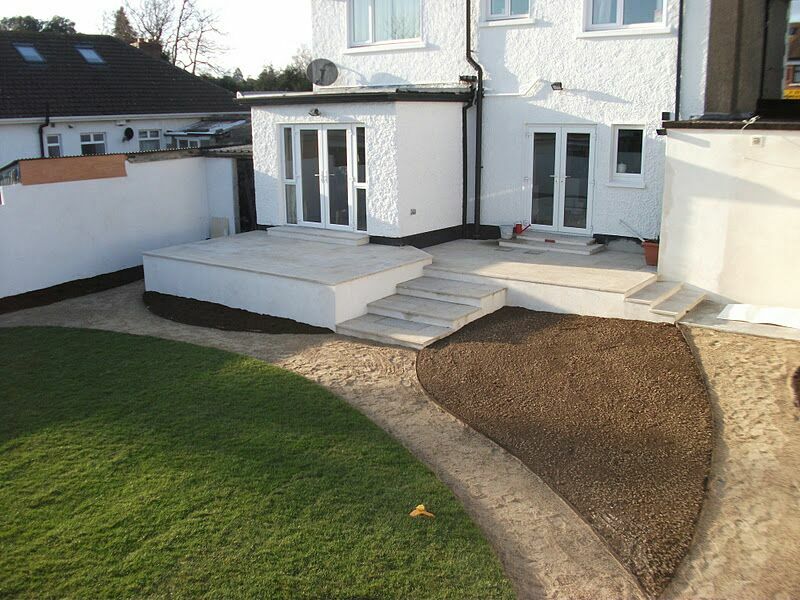 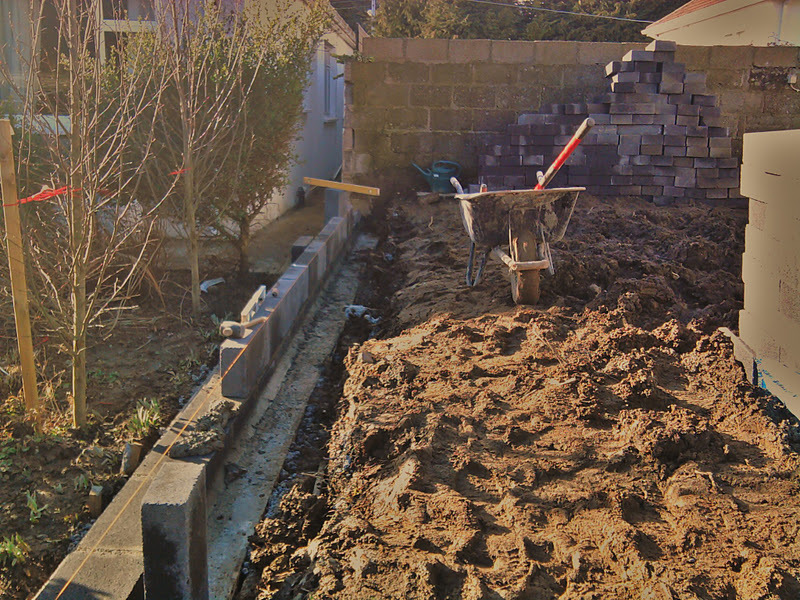 Garden is terraced over split levels due to sharp gradient of site. 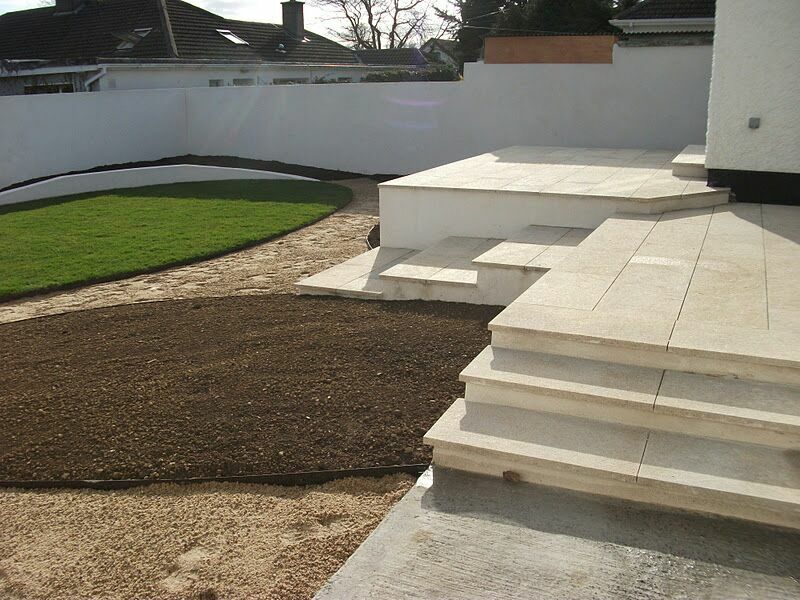 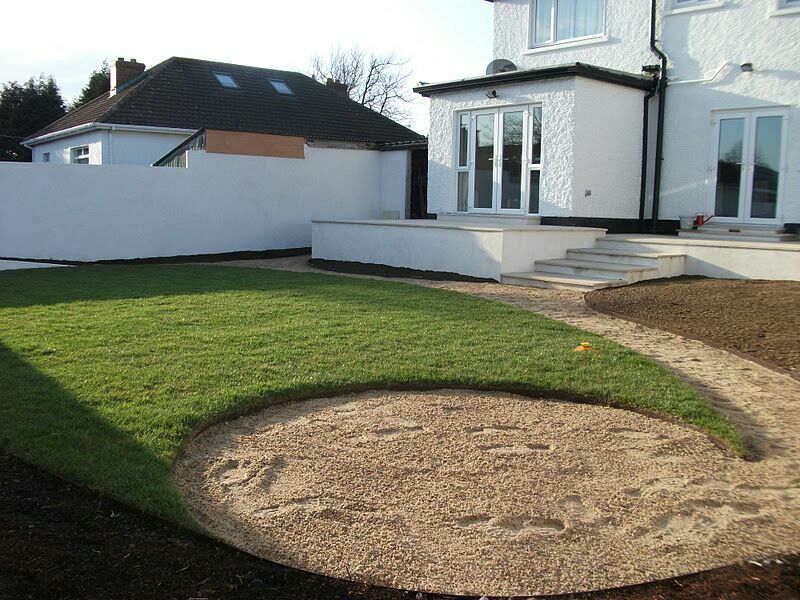 A natural Gold granite patio extends from backdoors giving occupants viewing platform over garden. 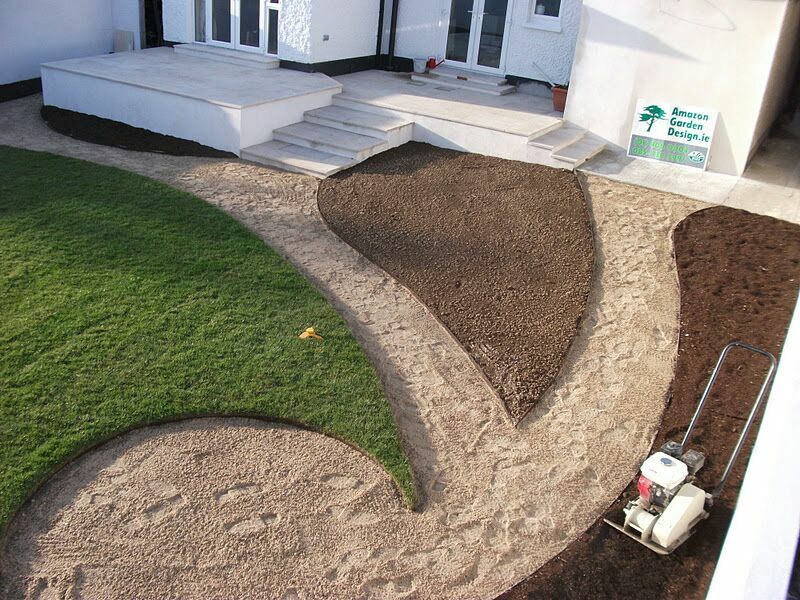 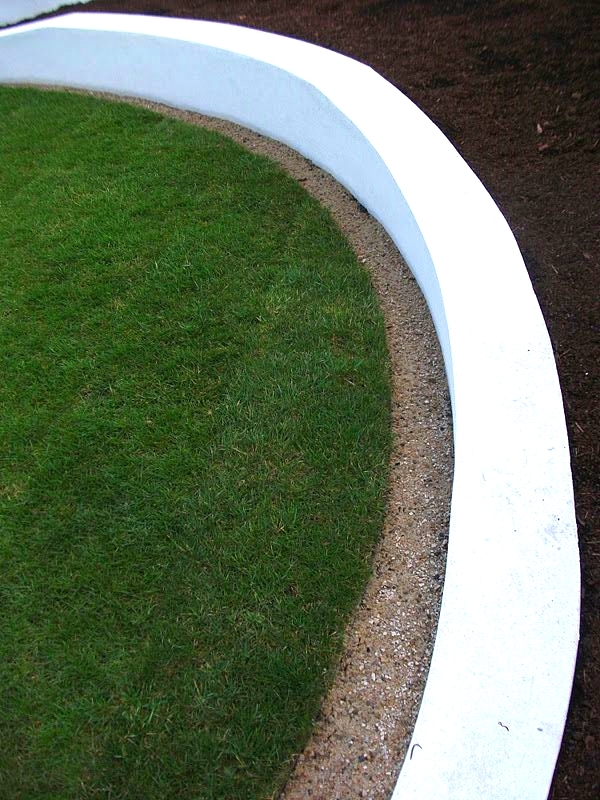 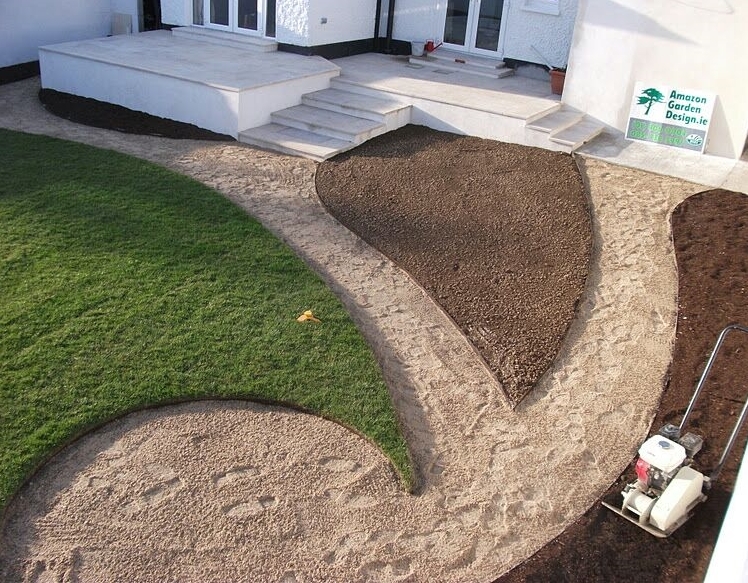 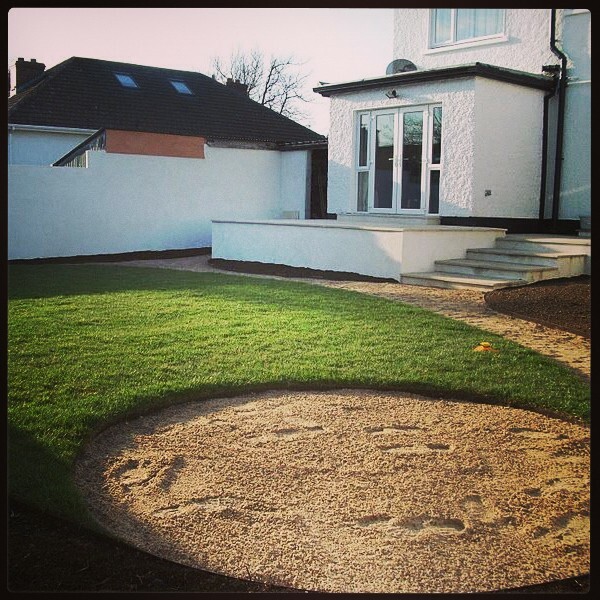 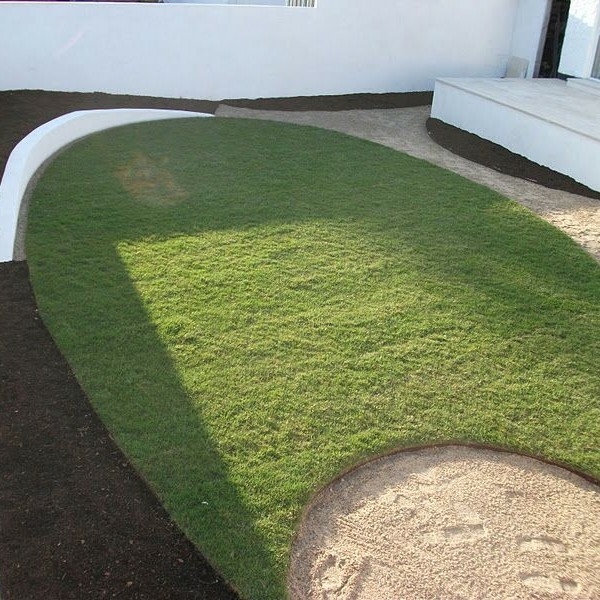 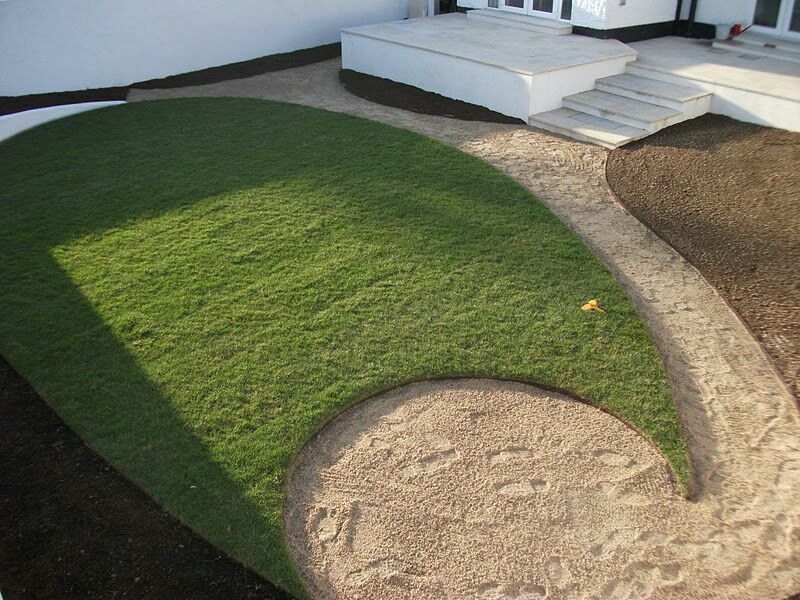 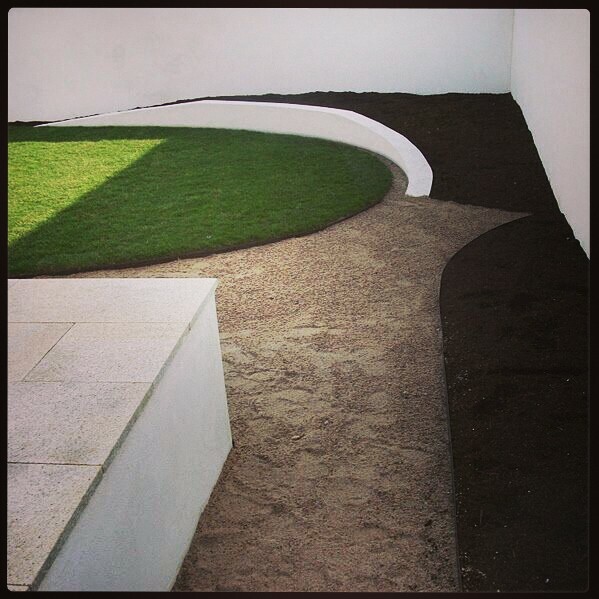 A Celtic Spiral Design takes clients around garden perimeter via aggregate paths and encircles lawn.